← Fantasy Islam at Its Finest! Diagnosing Anti-Semitism Correctly, but Missing the Cure! 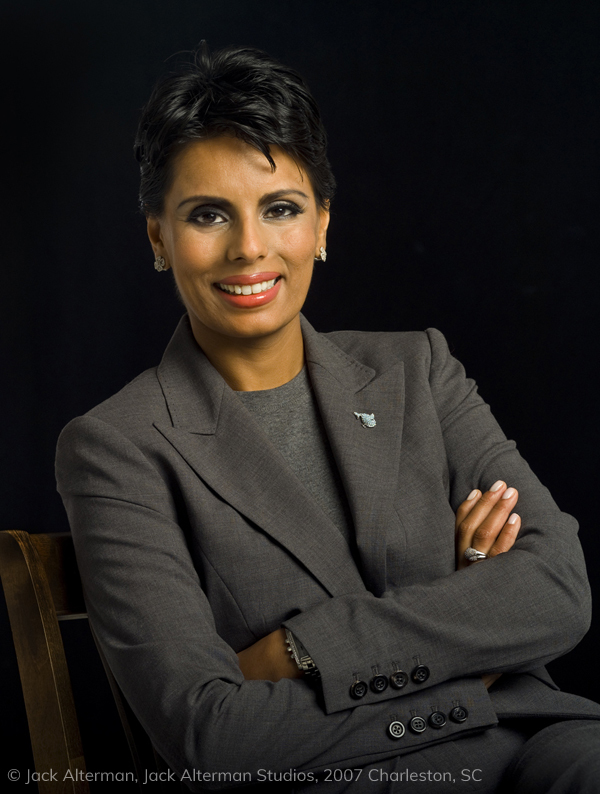 Qanta Ahmed is a poised and eloquent defender of “moderate” Islam. A British-American pulmonologist now serving as an Associate Professor of Medicine at the State University of New York, she also describes herself as a specialist in the study of Islamism as contrasted with Islam. In my opinion, Ahmed diagnoses the problem correctly, but she gets the etiology wrong. That is, she rightly condemns the anti-Semitic hatred of Ilhan Omar’s statements, but she wrongly attributes that antipathy to a modern fiction known as “Islamism” rather than to orthodox Islam itself. Since Ahmed clings to a belief in Islam as “moderate”, she cannot allow herself to see that the problem of Omar’s anti-Semitism finds its roots in the Qur’an and Sunna of Muhammad. I have studied the Koran and know it says Jerusalem belongs the Jews. The Koran devotes an entire chapter to the Children of Israel – and considers the Israelites to be a nation bestowed with special Divine favor. Ahmed’s reasons that since according to the Qur’an’s Moses Allah has assigned the holy land to the Jews, and since Jerusalem was/is within that holy land, Jerusalem must still belong to the Jews today, for Allah’s decrees cannot be reversed. So, not only do the Jews have the right to Jerusalem as their capital, they also are the rightful owners of all the land of Israel, because they are a specially favored people before Allah. Wow! This raises the question, “How have the vast majority of Muslims (non-Arab as well as Arab) gotten this so wrong, not only in modern times but throughout Islam’s history?” Why has anti-Jewish vitriol spewed from the mouths and pens of Muslim leaders, scholars and commoners since the time of the sahaba (Muhammad’s early companions)? Why has this Qur’anic text not convinced the worldwide Muslim community that Qanta Ahmed is right and they are wrong? The answer is fairly simple. Ahmed has failed to read this passage in the light of the rest of the Qur’an. First of all, v. 21 declares that Allah has decreed this land for the Jews as long as they “turn not back ignominiously [from jihad against the contemporaneous inhabitants], for then will ye be overthrown, to your own ruin.” This is a reference, of course, to the original conquest of the land after the Jews had been miraculously liberated from their slavery in Egypt. As subsequent verses in Sura 5 show, the bulk of the Jews, out of fear, disobeyed this divine command delivered by Moses, and so were punished with wandering in the wilderness for 40 years until that disobedient generation died off. Why does Allah remind Jewish listeners of this history? Because immediately preceding this story, Allah warns the Jews and Christians that “Now has come to you our messenger….” The sober implication is clear — if you do not obey Muhammad and become his followers, you will lose your favor with Allah and be treated as the disobedient Jews in the time of Moses. The original decree of the holy land was dependent on the Jews’ obedience to Allah’s will. In refusing to carry out his commands, they lost their right to possess the land. Even though the next generation of Jews did conquer the land, the Jewish nation as a whole continued throughout its history to disobey God, and according to Islamic doctrine have become cursed and hated by Allah, eternal enemies to the Muslims and their god. According to a statistical linguistic analysis of the Qur’an found on Dr. Bill Warner’s website www.politicalislam.com, though there are a few positive statements about Jews in the early Meccan revelations of Muhammad (while he was trying to curry their favor in support of his claim to be a true prophet of the one God), the Qur’an as a whole is virulently anti-Jewish. Overall, 18% of the content of the Qur’an is negative toward Jews. When you consider that Hitler’s Mein Kampf, which fueled the Nazi execration of Jews, devotes only 7% of its contents to anti-Semitism and yet stirred the Nazi party to such racist and anti-religious evil against Jews, why should we be surprised that Muslims by and large are today characterized by Qur’anically-induced loathing for Jews, and have been throughout their history, with limited exceptions? Ilhan Omar’s recent statements produce no surprise or condemnation among most Muslims around the world because they fit the mindset of Muhammad’s Islam as found in the Qur’an and Sunna. For example, Jews are classified as infidels to be killed or subjugated (2.62; 5:69), unless they accept Islam, thereby becoming Muslims. Allah declares that only a tiny minority of Jews will convert (3.110, 199), leaving the vast majority as sinners destined for eternal fire (4;46, 162). Cursed repeatedly by Allah (2.89; 105), the disbelieving (i.e., non-Muslim) Jews “…have drawn on themselves wrath upon wrath” (2.90). They have distorted their sacred texts in order to deceive Muhammad and his followers (4.46; 5.13, 41-3; 2.75, 79, 104; 3.78), they have concealed truths in order to undermine Muhammad’s standing as a true prophet (2.76, 146; 3.71), they have rejected, out of jealousy, the authenticity of the Qur’an as the Word of God (2.89-90, 105; 4.153). They “bite their nails in rage against the believers [i.e., Muslims]” (3.119) and conspire to turn such believers into infidels (2.109; 3.69, 99-100; 4.54; 5.59). Because their hearts are filled always with “evil inclinations” (2.120, 135, 140), Muslims are not to take them (or Christians) as friends/supporters (5.51, 57; 42.15). Instead, when able, the Muslim umma (nation) is to serve as the punishing rod of Allah against them (29.46; 3.20; 2.85, 109; 5.64;9.29; 33.26-7). This conviction played itself out in Medina during the lifetime of Muhammad. When he arrived there from Mecca in 622, there were 3 prosperous and powerful Jewish tribes: the Qaynuqa, the Nadir and the Qurayza. In five years time, two of the tribes had been expelled (with the Muslims confiscating their lands, homes and possessions), and the third tribe lost their 700-900 adult males to beheading, while the women and children were farmed out as slaves. In the final analysis, Qanta Ahmed is right in calling out Ilhan Omar’s hatred of Jews and Israel. However, she is wrong in attributing such a mindset to “Islamism” as something distinct from Islam. As the Qur’an, the Hadith and the early biographies of Muhammad’s life all confirm, anti-Semitism is baked into the revelation and practice of Islam from at least 622 on, when Muhammad moved to Medina and began his campaign to destroy all those opposing him, most notably the Jews. Qanta Ahmed no doubt means well, but in deluding herself about the truth of Islam she is also deluding others. Her Islam is a chimera, for it flies in the face of the religion’s core teachings, but the rest of the Islamic world knows this and consequently ignores her words. The truth about Islam needs to spread, even though it is painful for many to accept. But truth is the only antiseptic that can not only diagnose the infection but eradicate it. Please help to disseminate the truth! 9 Responses to Diagnosing Anti-Semitism Correctly, but Missing the Cure! I would hope that someone would make sure that Qanta Ahmed receives a copy of this post. I’m simply all admiration for people like Dr. Bill Warner who conducted a supposed linguistic analysis of the Quran and determined that 18% of the content was “negative toward Jews”. This would be quite a feat, as even in a lot of the passages the author cites, Jews are not actually mentioned by name. Then there is the little problem of citing a translation and assume no that the translation you happened to access carries universally agreed upon interpretations of a language no longer in use. I am assuming that Warner is not a speaker of 7th century Arabic, but you can correct me if I’m wrong. It’s all a bit like the trap of citing someone’s “I.Q.” as a number like 109.. Any psychologist will tell you the interpretation of that figure would depend on the test used. According to different tests, it could be assumed that the testee’s intelligence was in the low to medium range, and he medium range or the medium to bright range. So a psychologist would tell you that saying “George tested 109 on his last IQ test, doesn’t really mean very much. However, in this day and ag, it seems that everyone likes to believe he is an expert in someone else’s field, and it’s all “quite easy”. After all, this would be quite in order for a religion in which the members commonly wear tiny replicas of instruments of torture around their necks. Nothing wrong with that interpretation! You lost me there at the end, Linda, but I appreciate your questions about Bill Warner’s methodology. Perhaps you ought to pose them to him rather than take potshots from the sidelines. The exact percentages don’t matter to me — the actual anti-Semitic content is more than enough to qualify the Qur’an as anti-Jewish hate literature. And the result in the Muslim psyche around the world confirms this sad reality, in my opinion. Ave, Crux, spes unica. “Hail, Cross, our only hope,” a phrase that was loved by Saint Theresa Benedicta of the Cross, ocd, known in the secular world as the Jewish-born philosopher Edith Stein, martyred at Auschwitz. So much for your cheap shot, Linda.